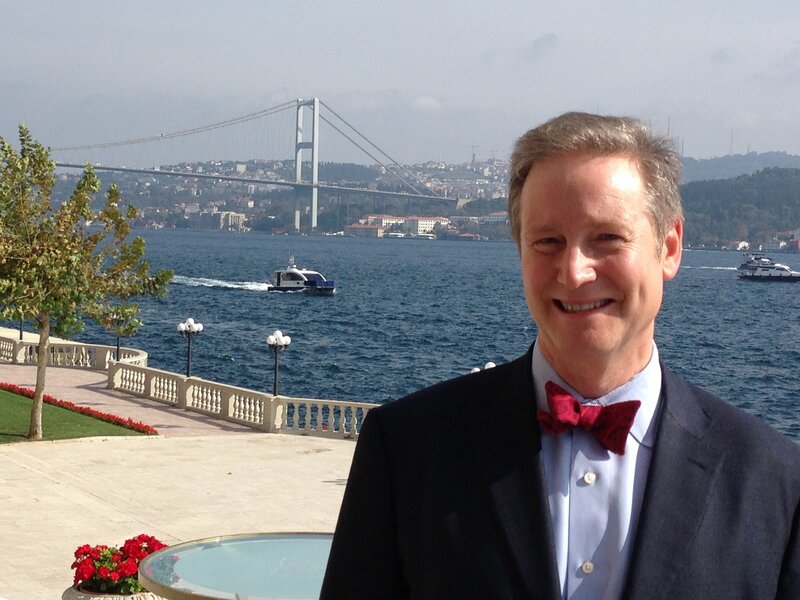 Turkey is a popular topic at Thanksgiving, but it’s also a favorite travel destination of East Lansing’s Patrick Anderson, founder of the Anderson Economic Group – a boutique consulting firm with international business clients, including Meijer and AT+T. Anderson just returned from Istanbul, a city he has visited six times. Anderson recommends visitors tour the famed Hagia Sophia, which was the largest cathedral in the world before being was converted into a mosque and is now a museum where Christian and Muslim symbols appear side by side. “Be sure to walk about the remains of the Hippodrome, too, where 80,000 spectators could watch horse races,” he advises. I found Anderson’s advice solid. Like most tourists, I also experienced the Blue Mosque and bustling, colorful labyrinth of the Grand Bazaar and Spice Market. It’s easy to get lost in the passageways and dazzled by the haggling that goes on at the bazaar. Goods from the exotic, like ornate daggers and nargile pipes, to the practical, such as the counterfeit Hugo Boss socks one merchant followed me into the parking lot to convince me to buy, are plentiful. The architecture in Istanbul itself, once dubbed the “City of Spies,” provides constant visual stimulation, which makes it a popular set for filmmakers. The Bosphorus River divides the city, placing half of it in Europe and the other half in Asia. A ferry can take you to Maiden’s Tower, a lighthouse in the middle of the river, featured in the 007 movie “The World is Not Enough.” More recently, “Skyfall” had James Bond running – and shooting – atop the roof of the Grand Bazaar, and “From Russia with Love” sent Sean Connery spying in the Basilica Cistern, which you can also visit. “Like the Detroit River, the Bosphorus is spanned by suspension bridges and traversed by giant ships. I enjoy both sides, and the ferry ride across is a special treat allowing you to drink in views of the ancient mosques, modern skyscrapers, and Ottoman-era buildings, including the Ciragan Palace, on both sides,” says Anderson. Four Seasons Hotel Istanbul at Sultanahmet – formerly a prison – is now a luxury lodging option, and Four Seasons has another property on the Bosphorus. Ciragan Palace Kempinski Hotel is also directly on the river with sweeping balcony views from which you can stand a listen to the Muslim “Call to Prayer” echoing from various points across the city.